The art world has different tribes. 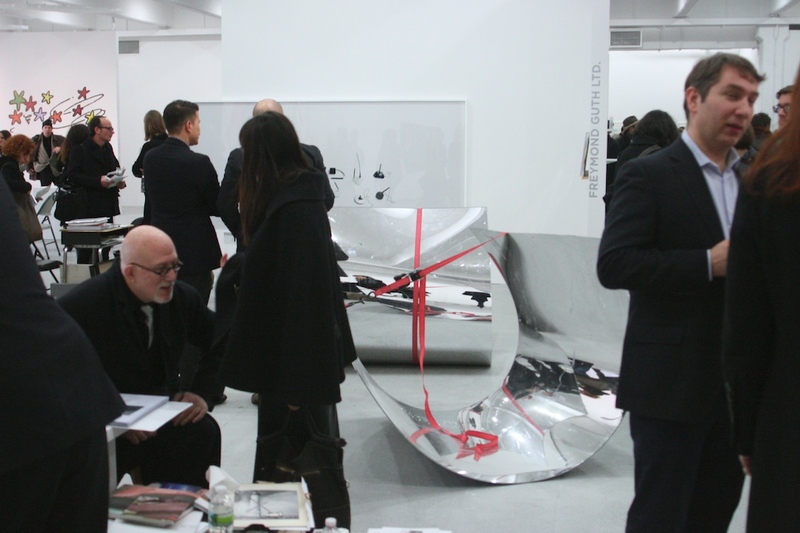 The crowds at the Armory, ADAA Art Show and Pulse are different because the varying aesthetics and brands on display draw different audiences. To my eyes, the Independent was dominated by the Art Forum set, a post-minimal aesthetic that drew heavily on blank-faced conceptualism, the visual strategies of minimalism and the wallets of a coterie of black-garbed international hipsters. Of course, I still liked it more than any other fair I’ve attended in New York this week. 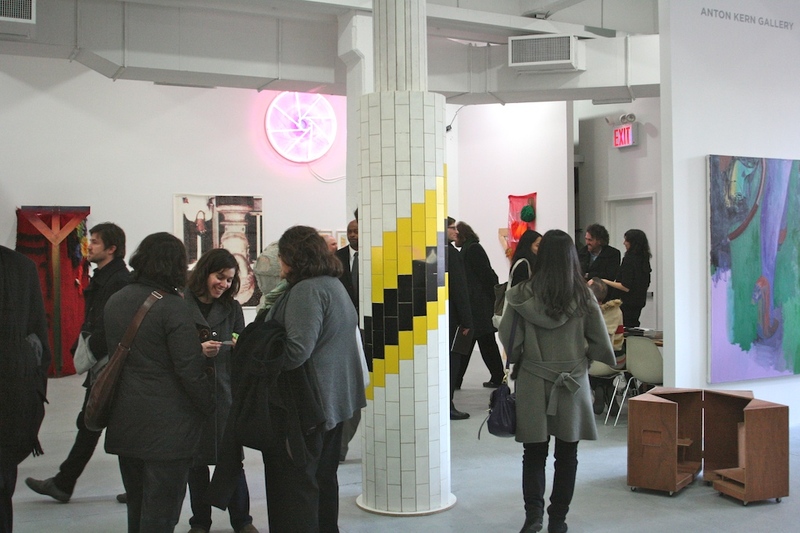 Located conveniently on 22nd Street in Chelsea’s galleryland and exhibited over the course of three warehouse floors and a roof, the Independent gathers international galleries into a beautifully open spaces undivided by booth walls. 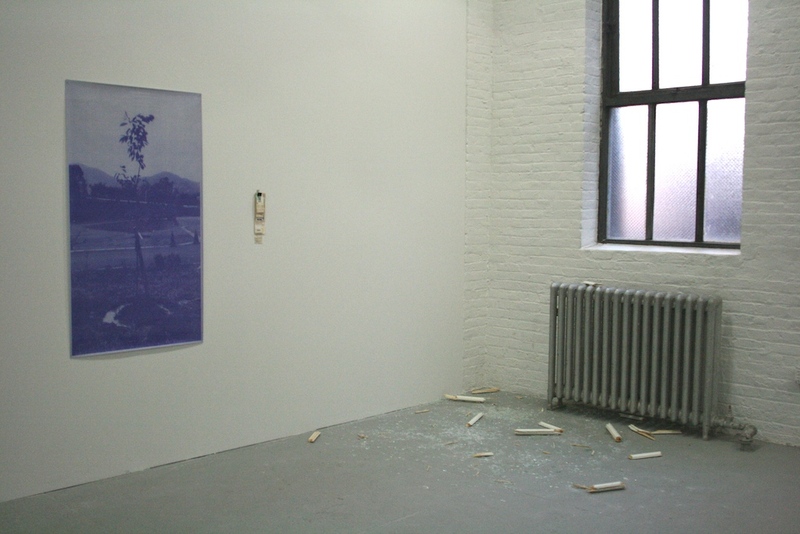 The lack of walls lead, in part, to a concentration of sculpture and installation much greater than the Armory or Pulse. 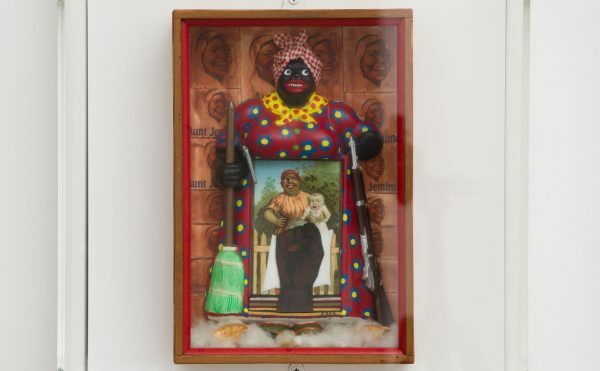 The Independent also seems to be the most coherent fair, galleries coming together to show oft-difficult, challenging and austere work the like of which is rarely seen at the more shopping-mall fairs. 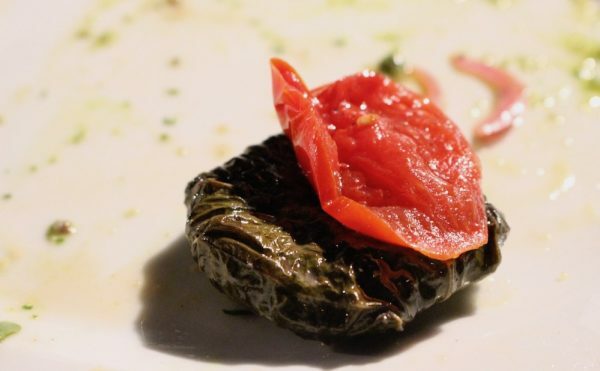 The galleries at the Independent took risks. But all the same, there’s something of a hipster sheen to the whole affair. The roughed-up-white-cube space presented a perfect venue for showing off black suits and dresses. There was much air kissing. Many obscure tote bags were in evidence. Bidoun magazine had a sit-down (on the floor) cafe enclosed on the roof, while outside, cigarettes were smoked and sunglasses donned. The vibe was fabulously too-cool-for-school. Art fairs are amorphous entities that soak up worldly art-world denizens from all over, attracting private jets like magic. For how cool the Independent was, and it didn’t lack for legitimately great art, it was also identity-less, post-national and aloof. 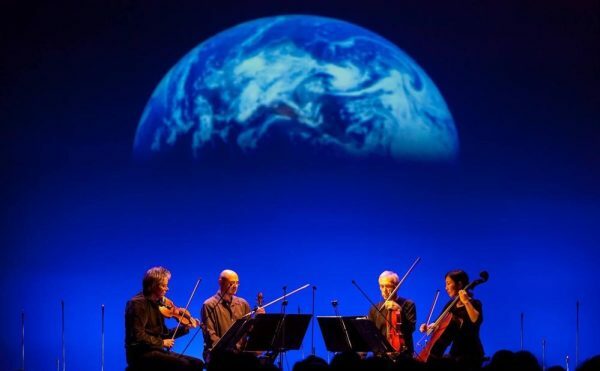 The fair “lived” in New York/Beijing and was “based” in Berlin. But let’s see that art! Note: artist and gallery names are rare because it was a pain to actually figure out what was by who, where. Oh well, just soak in the vibe. White walls and black suits. The Independent was a bastion of cool, and the installation of the art within the space was the best of any fair so far. Whimsical, formalist paintings by Andrew Masullo at Feature Inc. gallery. I really enjoyed the painter’s play with color and shape, and the brilliant hues really brightened up the monochrome space. 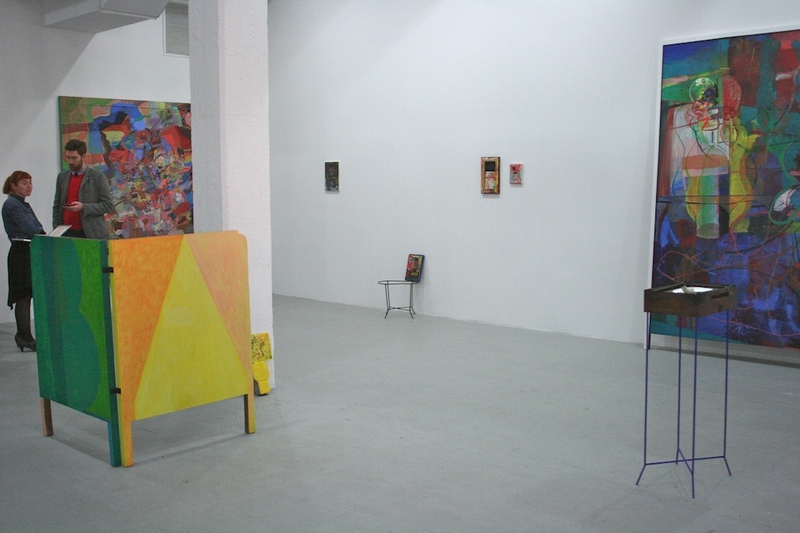 At left, Pratchaya Pinthong’s “Mono no Aware” (2008). The monochrome photo print of a single tree in a Southeast Asian-looking setting hangs next to a clipped bunch of receipts, like the hangover and memory of visiting a new, yet strangely familiar, place. 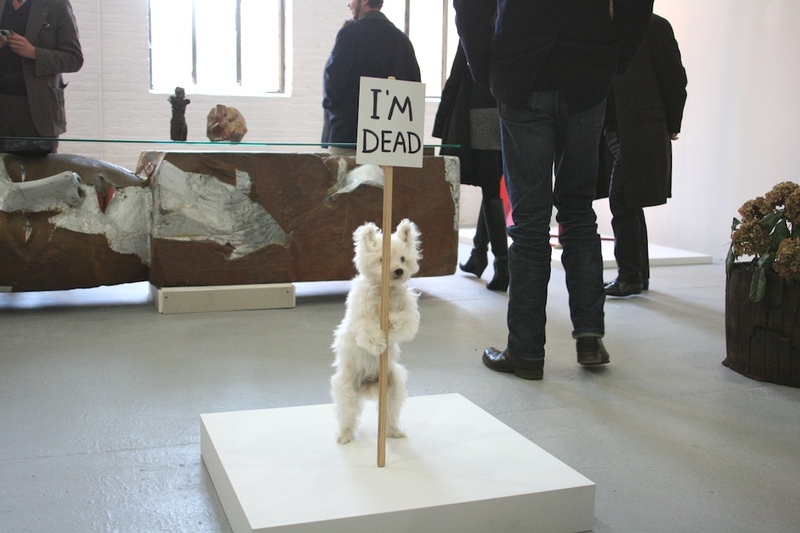 At right, Ryan Gander’s hilarious “Matthew Young falls from the 1985 into a white room (maybe this is the way it is supposed to happen)” (2009). No idea who did this, but it was really fantastic. 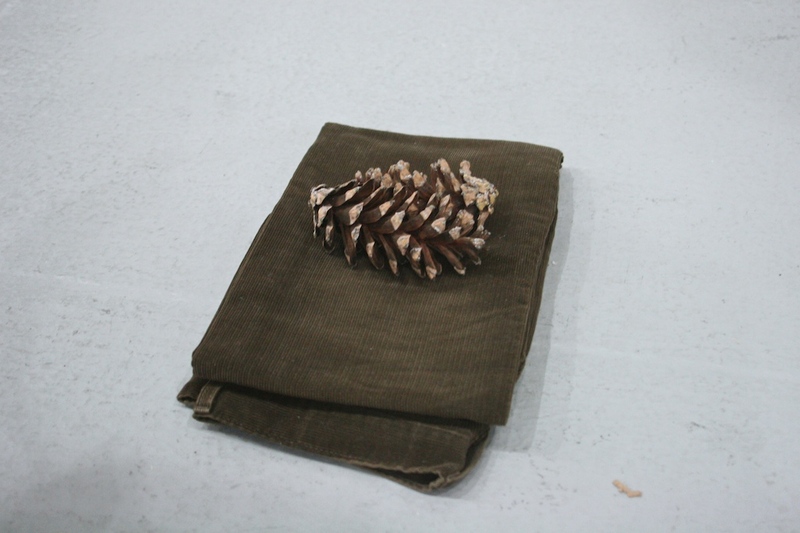 Set in the middle of the floor, a pair of pinecones resting on top of a pair of folded up brown corduroy pants. Formal yet emotional and evocative, feeling like autumn. More black suits, plus mirrored surfaces bent with tension belts. It’s a super violent work, yet feels perfectly balanced and minimal, a single effective gesture that packs a punch. Wouldn’t want to be around when that belt cuts loose. More formal play. 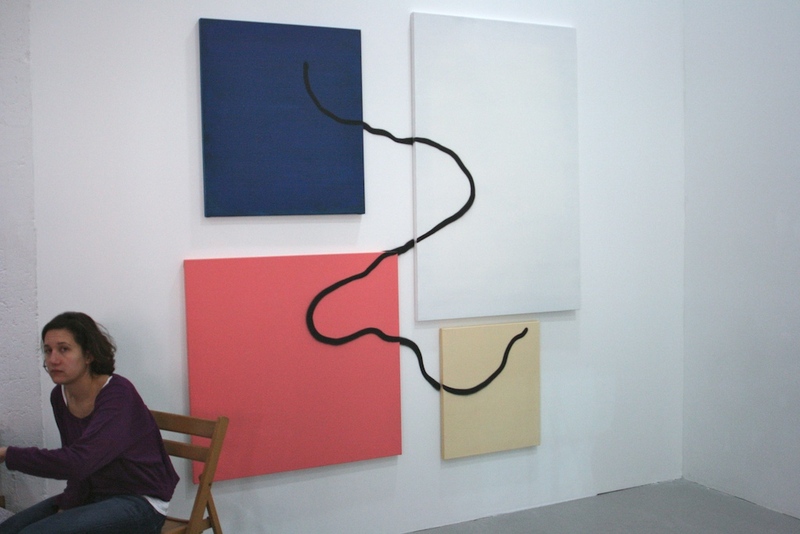 Four canvases of various pastel colors are intersected by a meandering black line that also hits the wall. It’s fun to look at and trace the line back and forth. 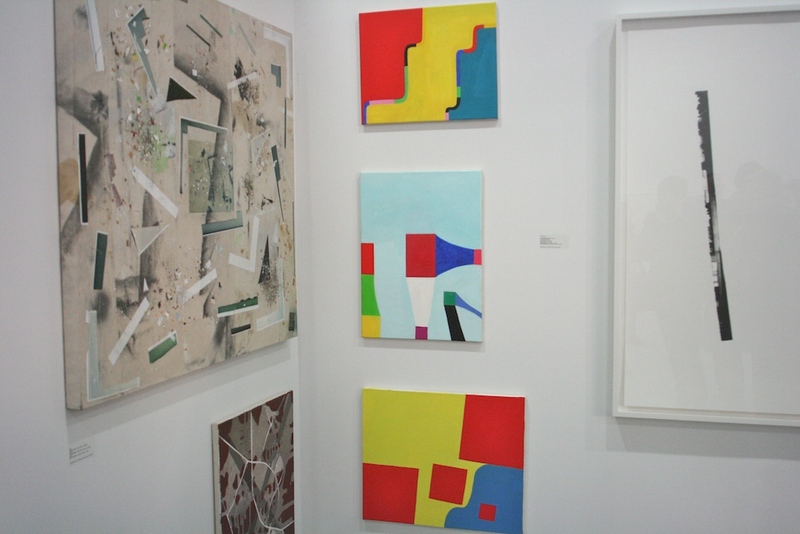 Hands down the most staggering booth at the fair was The Modern Institute’s solo exhibition of Victoria Morton, an elemental painter who is brilliant on a flat surface, as this “Provocative Biology” (2010) shows, but can also handle three-dimensionality delicately, without ever moving into overly muscular, heroic abstract expressionist mode. This booth alone is worth going to the fair for. More Victoria Morton. 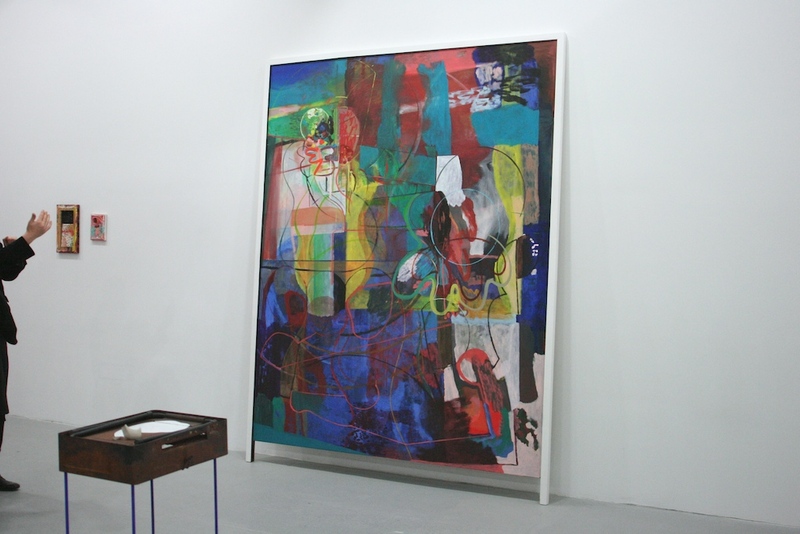 The artist often paints on bed headboards, seen at left, and props her painted surfaces up on attenuated wire structures, themselves painted in deep colors. At turns playful and breathtaking, the work doesn’t take itself too seriously but still manages to be incredibly forceful. These pieces won best Ikea-inspired art at the Independent. 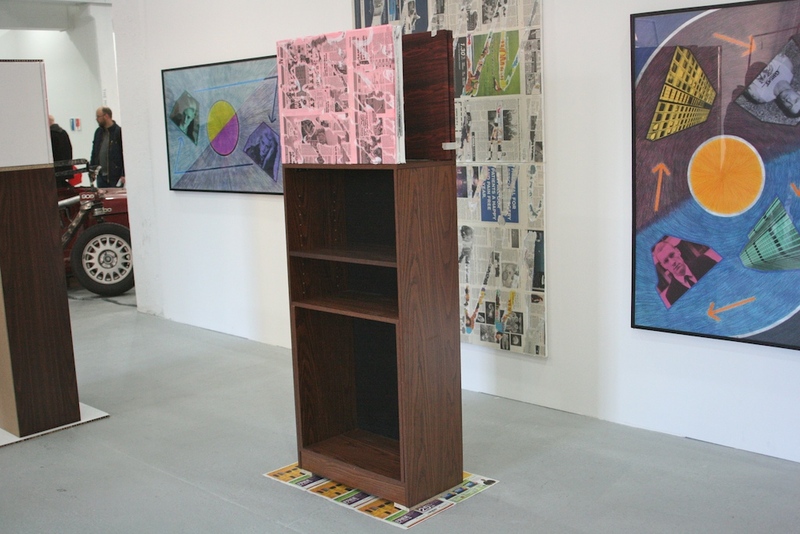 Fake wood surfacing on the cabinets played off screenprinted wood patterns on the canvases propped on top. I love that it’s sitting on a grocery store flyer, it just makes the piece. This Charlie Brown-like tower was another great abstract sculpture at the fair. 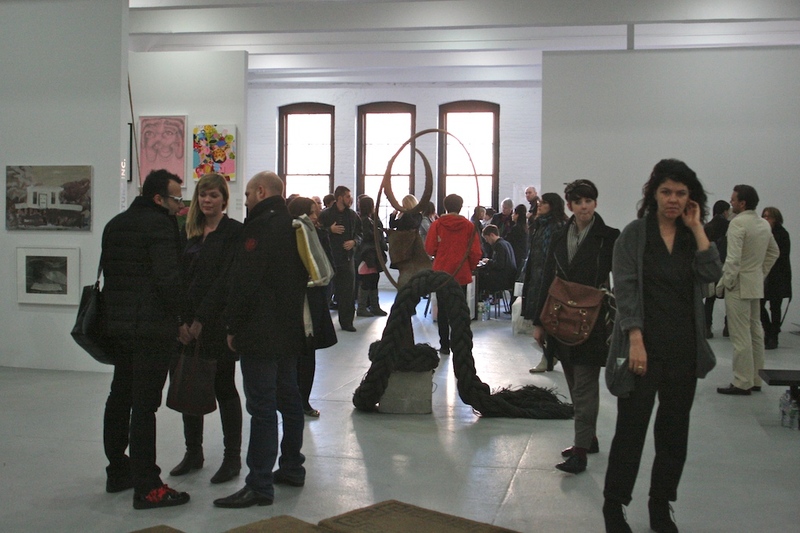 Having so much open floor space, the Independent really emphasized sculpture, though most pieces were very formalist. 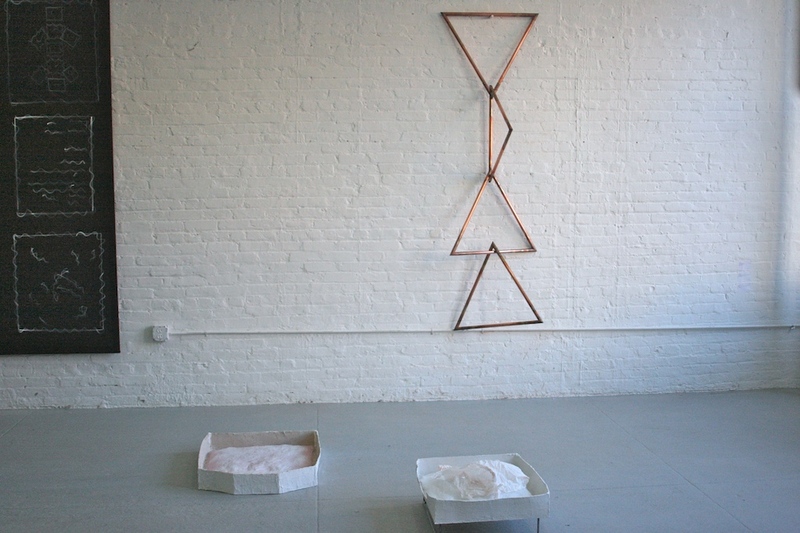 Another great combination of abstract sculpture that’s kind of minimal. The surfaces of these pieces embrace their handmade imperfection though, and make no claims to universality. They just look beautiful in their own quiet ways. Worst piece of the fair! 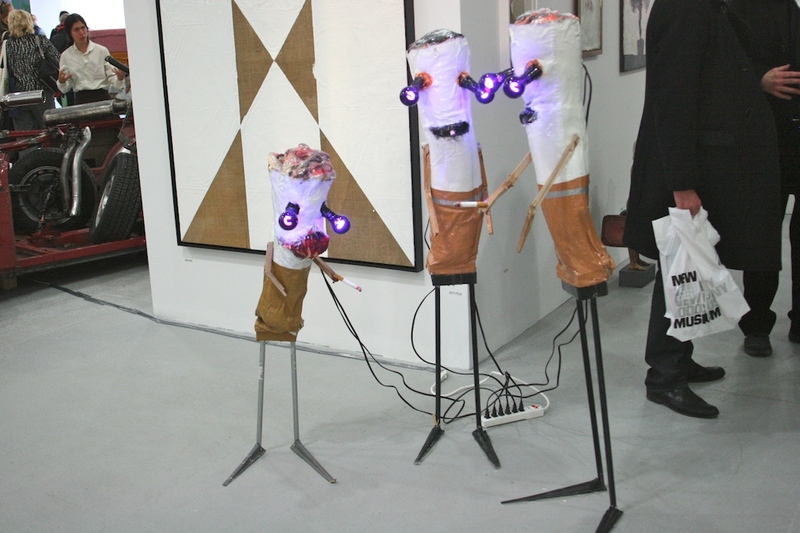 These cigarette men have glowing black light eyes and make no sense. They also murder the painting behind them, which would be interesting on its own given more space. I just don’t know what’s going on with this trio here. 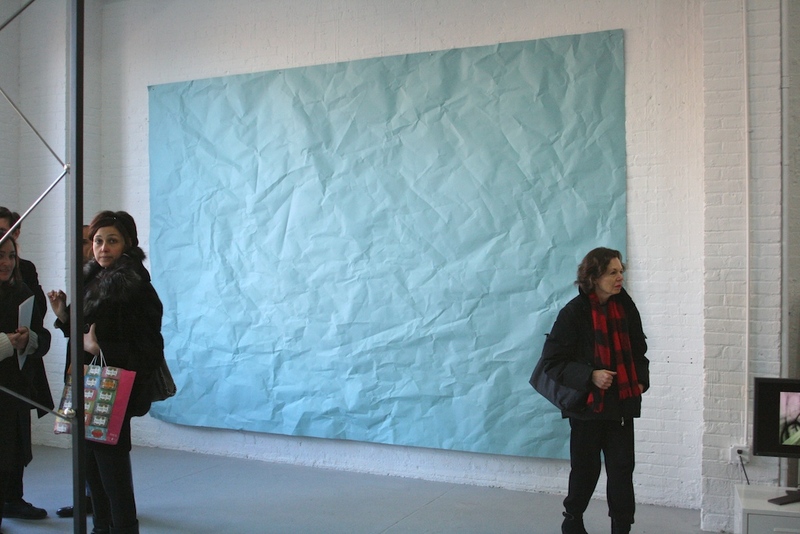 An enormous piece of paper hanging in one corner of a floor absolutely blew my mind. All it is is a folded piece of paper, but when it catches the light, the piece somehow manages to become the most imposing presence in the room. Delicate and poetic yet clearly intricately created, this single gesture created so much more than the sum of its parts. Wow. 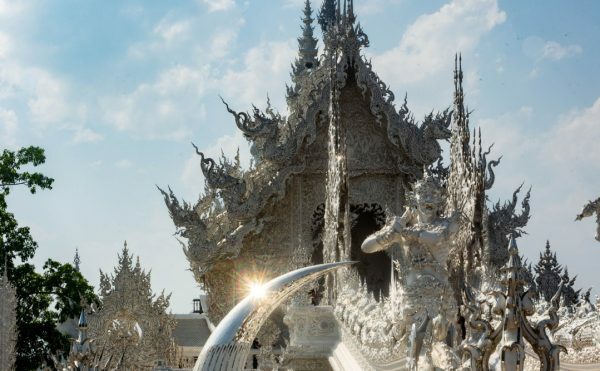 Go see this one during the daytime. One gallery was filled with sunset light from these huge windows. 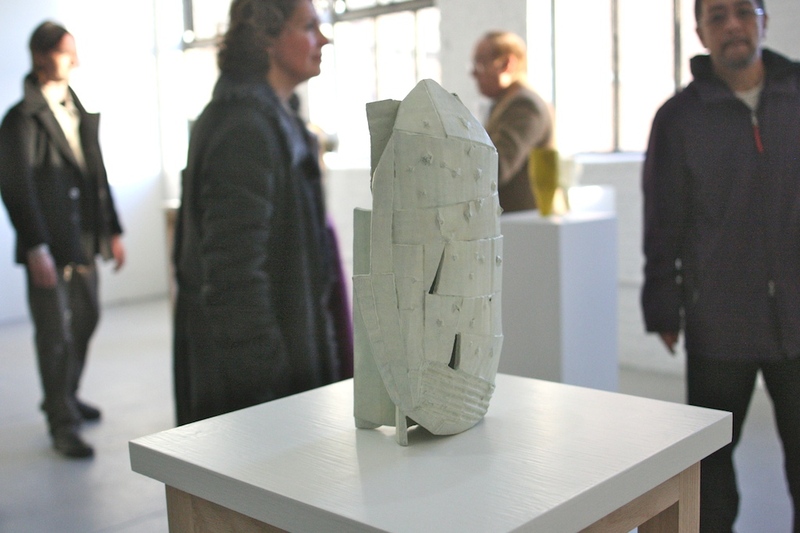 Small sculptures sat arrayed on pedestals while viewers wove between them. The space they created was very nice, again, delicate yet finely balanced, thoughtful without being intrusive. From here we go post-national. 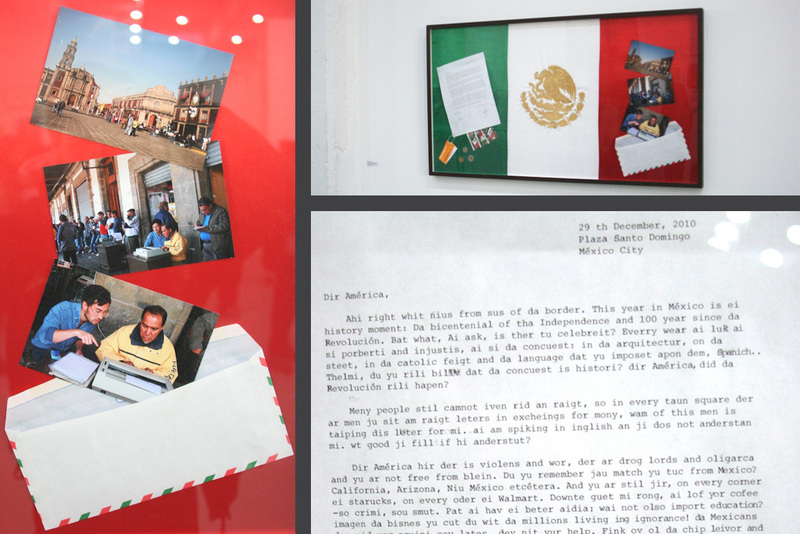 British/Japanese artist Simon Fujiwara, who now divides his time between Berlin and Mexico City, interrogates nationality in his finely honed conceptual pieces that owe their daggers to his intelligent methods of appropriation. Here, Fujiwara writes a farewell letter to America via a Mexican transcriptionist. The transcriber can’t understand Fujiwara’s English, so the resulting letter features Spanish-inflected spelling that’s funny, yet a little sad and exploitative. What would the typist feel if he could understand my dialogue about post-colonialism and sexuality, Fujiwara asks? Luckily the artist always has a satirical edge to his works, so I’m hoping this one is part humor. One of the strongest pieces in the Independent. 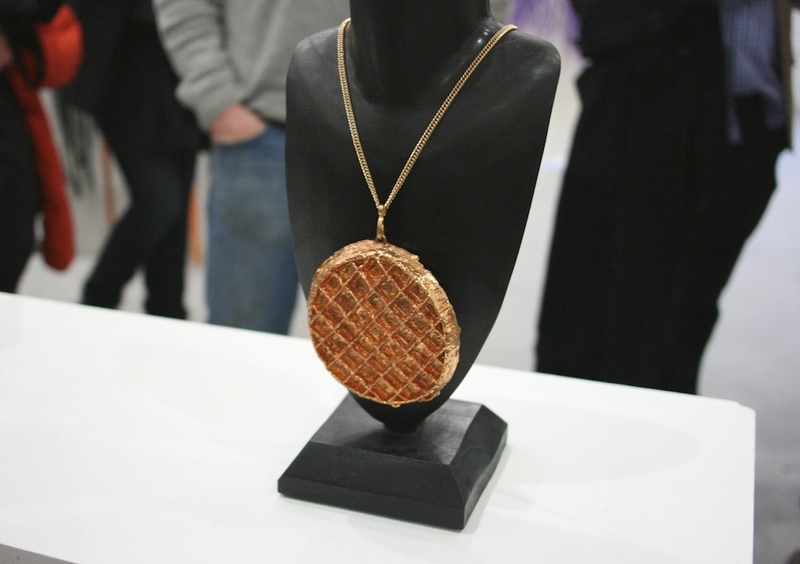 This piece wins the award for best blinged-out waffle necklace. Wait, what? 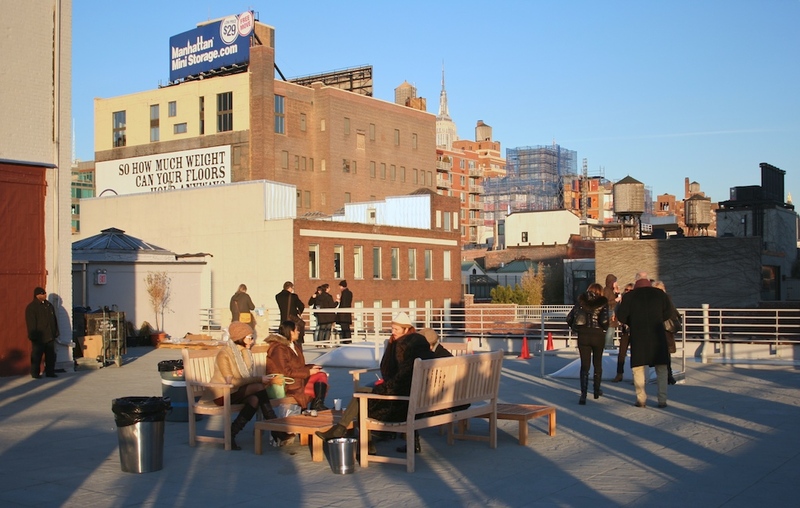 Don’t miss the roof space at the Independent. It’s so awesome, you might even feel as cool as the artists and gallerists roosting inside the galleries. Seriously though, a very nice breath of fresh air after Bidoun‘s cafe coven.